Fix Auto announces the signing of a partnership agreement between Fix Auto China and the People’s Insurance Company of China (PICC). The collaborative agreement was formally announced during a signing ceremony held at Fix Auto China’s first annual national conference in Suzhou on November 27-28. In attendance were approximately 200 delegates, including notable guests Fix Auto World President Steve Leal, CAMRA Vice-Secretary Fengling Wang and Curie Chen, President of Fuyao International Holdings. 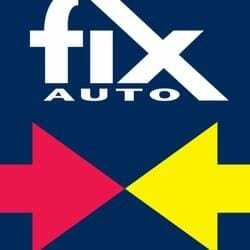 One year after the launch of Fix Auto China’s initial network of 78 locations in December 2016, the brand has doubled its footprint, now standing at 156 independently-owned collision repair franchise locations across the country. This strategic cooperative agreement, by which PICC recognizes Fix Auto as a national network and Fix Auto commits to delivering standard repair service, quality and rates, is the first of its kind for Fix Auto China. This partnership is an important preliminary step in developing a formal direct repair program with PICC, which could include referrals to Fix Auto locations. Founded in Beijing in 1949 and handling approximately 20 million automotive claims annually, PICC is China’s largest provider of casualty insurance and has an extensive history of delivering client-centric insurance services to the Chinese population. “Our national strategic cooperation agreement with Fix Auto China includes policy sales, claims and the future development of a DRP in China. I am convinced that the collaboration between Fix Auto China and PICC will bring a new era for the development of the automotive aftermarket.” said Zhang Haibo, General Manager, Auto Insurance Department at PICC, who co-signed the agreement with Frank Liu, CEO of Fix Auto China.